Also added the late Capt. 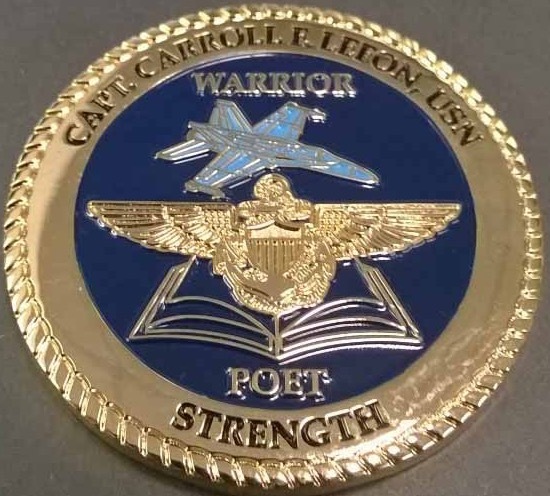 Lex Lefon's challenge coin image to my prologue page. Added a video link on my VF-1 page to the then highly classified program, "Constant Peg" where I had the privilege to train and fight with my F-14 Tomcat against captured MiG aircraft over the Nevada desert in the late '70s. Health: It is good now. I recently had some heart surgery; a stent and aortic valve replacement about three months ago and everything is fine. I have not felt this good in a few years! Dodged another 'bullet'. Social Life: A social schedule for a fighter pilot bachelor in in San Diego, 1970 while in the F-4 RAG: here. Added a few new links to my Flight Training page, my VF-151 page, and my Vietnam First Cruise page. Minor edits and additions on a number of pages. 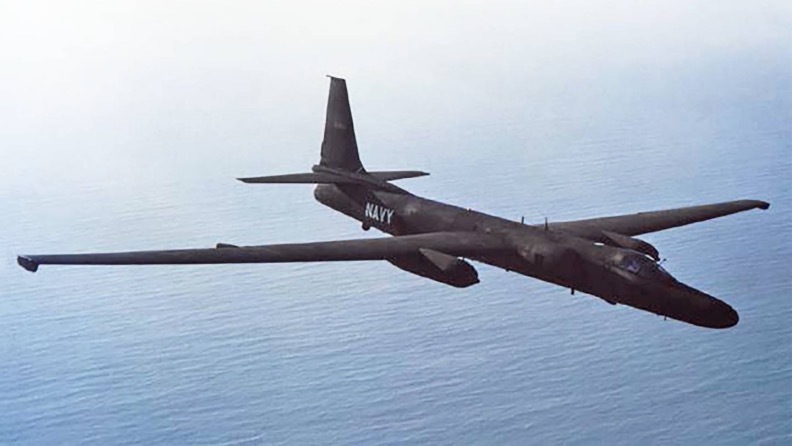 Added a 'Sea Story' on the bottom of my NADC page regarding U-2s. Last month I had the honor of attending a small private dedication event in Ready 6 aboard the USS Midway Museum. 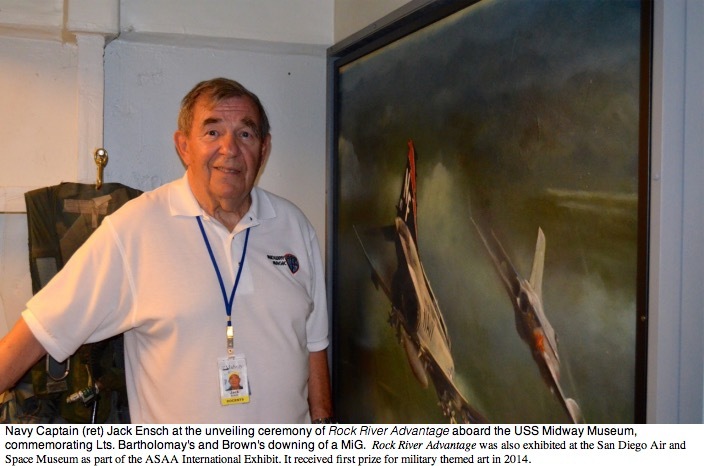 It was the unveiling of Robert Flacco's painting, Rock River Advantage, depicting my old friend and TOPGUN classmate 'Bart' Bartholomay with his RIO Lt. Oran Brown downing a MiG 19. Bart passed away nearly two years ago but he is remembered and missed by all who knew him. Have added a number of minor edits and some new links on my War page, War2 page, and Topgun page. 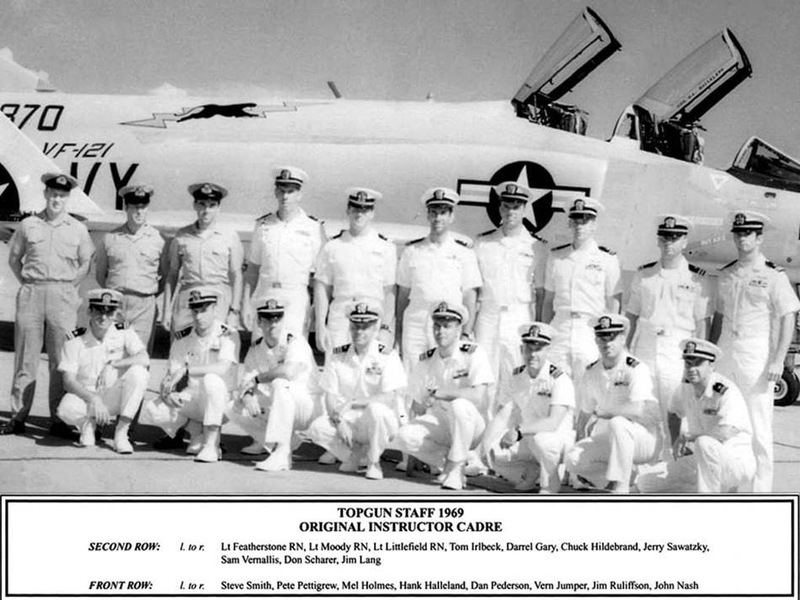 More importantly, I just received this special photograph from the son of one pictured, of the original Toggun cadre that started this world famous Navy Fighter Weapons School at NAS Miramar. I was most fortunate to fly with a number of these instructors the following year while in the RAG. 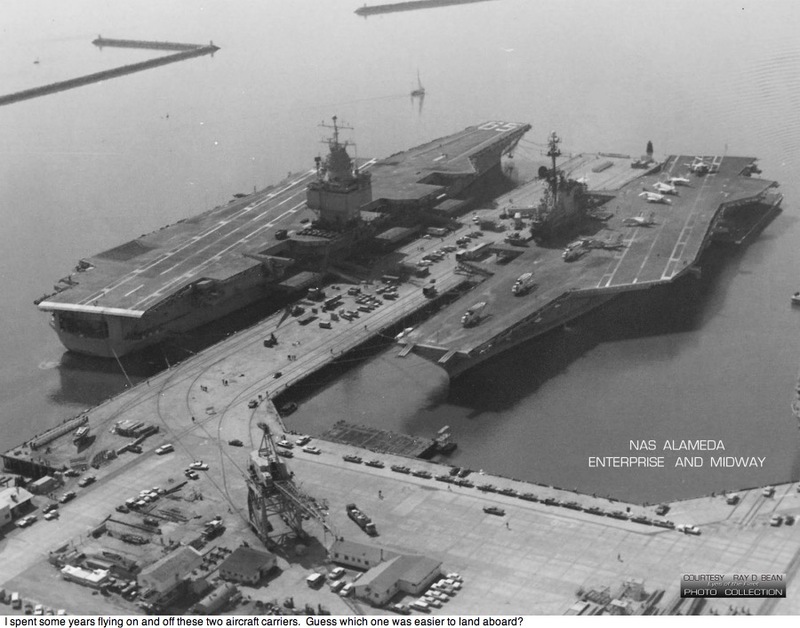 Added an old photo on my epilogue page of the two aircraft carriers I spent four WestPac cruises out of NAS Alameda. 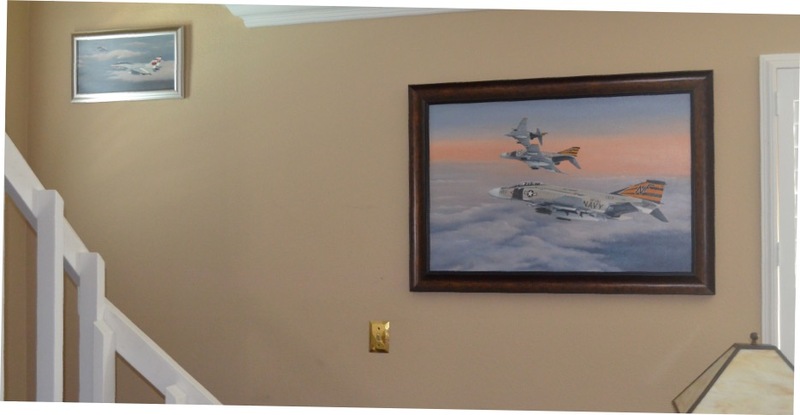 Added some more of Pete Wenman's excellent aviation artwork to our family room wall. While rummaging through some old Flight International magazine archives, I found what I was looking for... What the magazine called, "The Dogfight of the Decade." And it may have been! I have added it to my VF-1 page, but you can access the original story and my backstory, here: F-14s and F-15s Fight It Out. Well worth the read on Memorial Day, or any day. On this date in 1972, LT Randy Cunningham and LTJG Willie Driscoll shot down three North Vietnamese MiGs in one engagement to become the United States’ first “aces” of the Vietnam War. (2) Cunningham got shot down, ejected, and got picked up and returned to the Connie. All 4 were awarded the Navy Cross. Lots of small edits over the past few months and a few additions, here and there. Too many to delineate now. I do get some questions as to my current health. Thank you all. Fortunately it is a lot better than it has been in previous years, and I'm still kicking, semi strongly. Another fine and famous fighter pilot has flown west: CAPT Ron "Mugs" McKeown USN (Ret.). Ironically this is less than two months after the loss of my friend, Bart Bartholomay whom I have documented below. 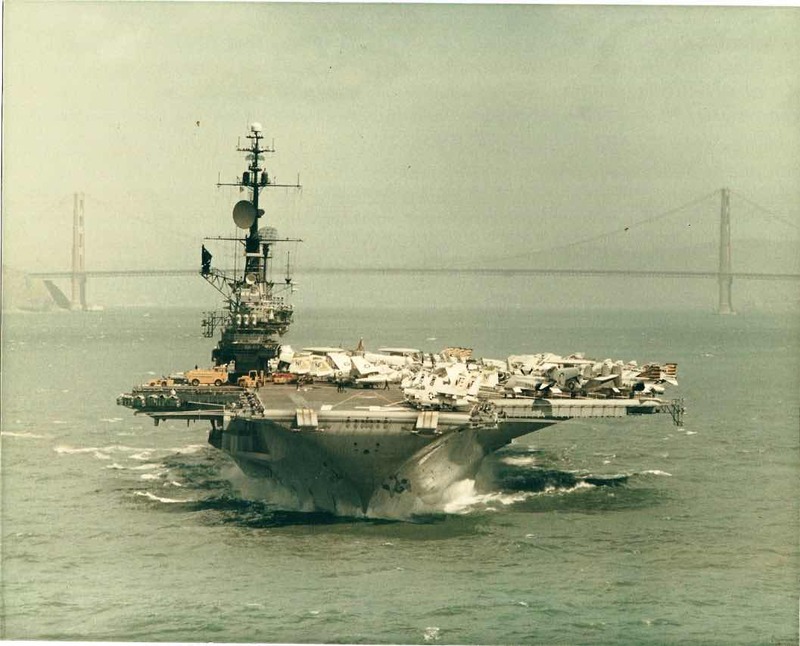 Both Mugs and Bart were in my sister squadron, VF-161 aboard the USS Midway and both had shot down MiGs in 1972. Some years later Mugs became my Commanding Officer in VF-1. 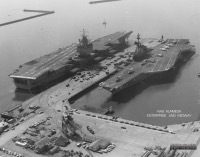 Actually, we never got along personally, from our very first meeting on the Midway in 1971. He was always my adversary and nemesis. I suppose I was his too. He and I parted on very unfriendly terms when I left active duty in 1979. Then surprisingly after our next meeting nearly three decades later, he threw his arms around me like an old friend. I reciprocated, and we pleasantly remained friends thereafter. Here is Fighter Sweep's excellent Memorial for Bart. I have just learned from reliable sources that the same F-14A that I ferried to Iran in 1977 is still flying out of Mehrabad Airbase at Tehran. Quite amazing! F-14 US BuNo, #160345 / Iranian designation, 3-6017. Added on my Topgun page early TOPGUN instructor, Darrel Gary's rebuttal to the UK The Telegraph newspaper article falsely implying that the "American Top Gun fighter pilot academy [was] set up by the British." Here is an excellent hour-long documentary video all about the F-14 Tomcat and its many years of service. "Time to Remember." For anyone who has not flown in combat or into harm’s way – and that even includes a majority of fighter pilots from various countries – my old VF-151 squadron mate and friend has recently published a personal video of an Alpha Strike.Although I flew a mission later that day, I do remember this since we lost a couple of our squadron mates to SAMs. Indeed what is portrayed is fairly accurate of what we did and faced on most of our flights over North Vietnam in 1972. 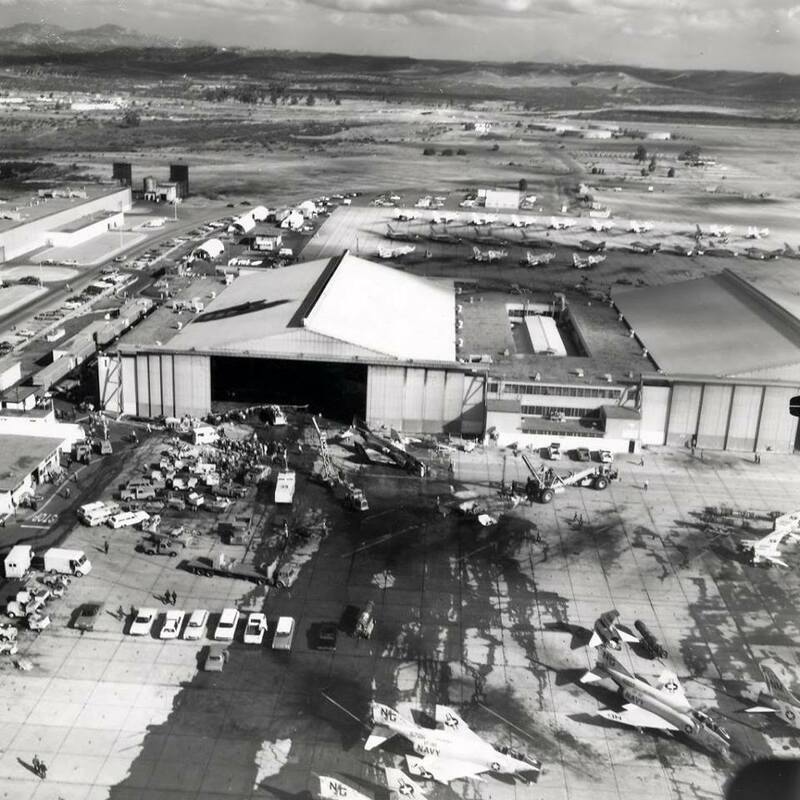 Added an aerial photo to my VF-121 RAG page regarding the 1969 F-8 crash into the Miramar hanger. Every month this seemingly nondescript, motley group - and perhaps 20 others not pictured - of aging Naval Aviators & Flight Officers meet for an early breakfast in San Diego. Actually it is quite an august group that includes a number of retired admirals, former aircraft carrier captains, TOGUN COs, Blue Angels, POWs, some Silver Star and Navy Cross awardees, and the best fighter pilots in the world, in their time. Here is a great F-18 video flying fast and low around the boat. Enjoy! The March issue of the Smithsonian, Air & Space magazine will be on newsstands on 1, February. 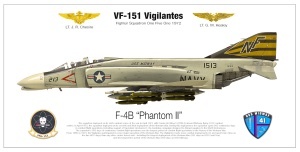 Its cover story - F-4 Phantom, The Last Ace Maker - is a very interesting read. I had never thought that there may someday be, no more fighter aces. Regardless, I am quoted in the article a few times concerning my F-4 Phantom experiences, along with some far more famous F-4 drivers.. The article is now online, ahead of its February print publication: What Couldn't the F-4 Phantom Do? 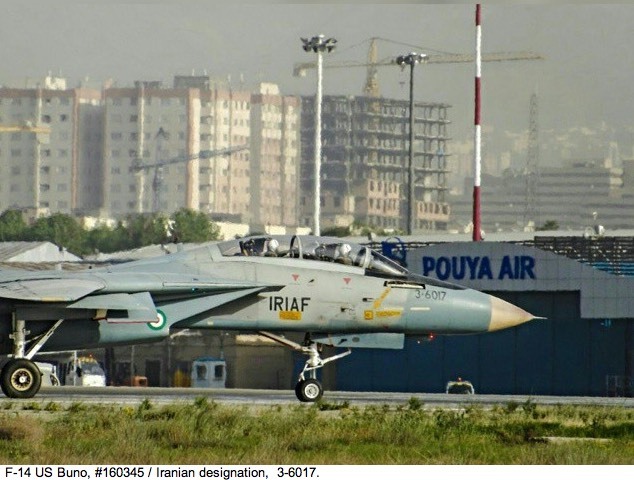 On my Iran page, I added a link to the Iranian Armed Forces Forum, and specifically to their F-14 discussion . 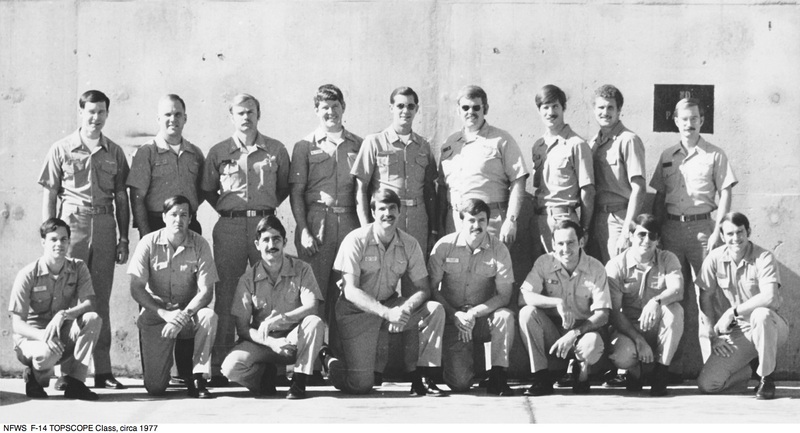 Added two images of us guys as were were in 1972, on to my War, 2nd Cruise page. I don't exactly remember the sources, or the 'editor' of either image. Nevertheless we were then, "We few, we happy few, we band of brothers." And despite a few losses over time, we remain so today. The second photo depicts the highlight of the day, the evening ‘roll-em’. It was the lowly movie officer’s job to procure good movies, have the projector all set up for the exact start of the movie without previews etc., and especially in focus. The skipper would count down to start the movie. The lights were supposed to go off and the movie to start without a hitch. Precision! However, this did not always go as planned. 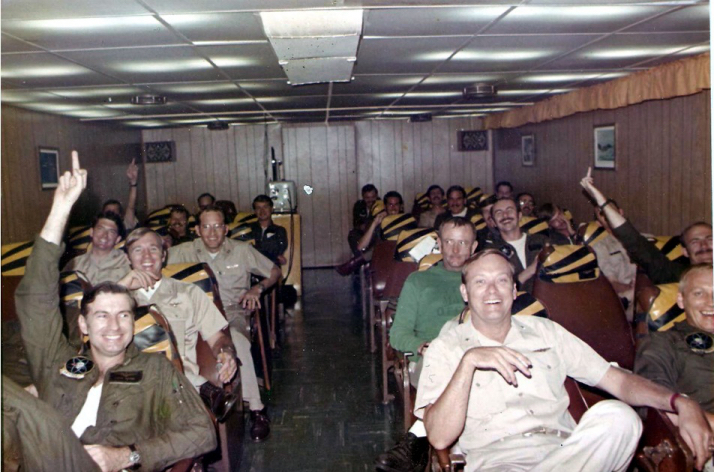 Then the movie officer was required to stand in front, give his excuses, apologize, and take all the ridicule and abuse from this squadron mates, as can be seen in the photo. It should be noted that most of the guys in the photo spent their day getting shot at over North Vietnam. They again would be doing the same, the following day. Thus the evening 'roll-em' was a highly anticipated, and a very much needed escape from the stress of daily combat! The man in the green shirt – our superb maintenance officer - kept our birds flying. Conspicuous by their absence are Ted and Dave. 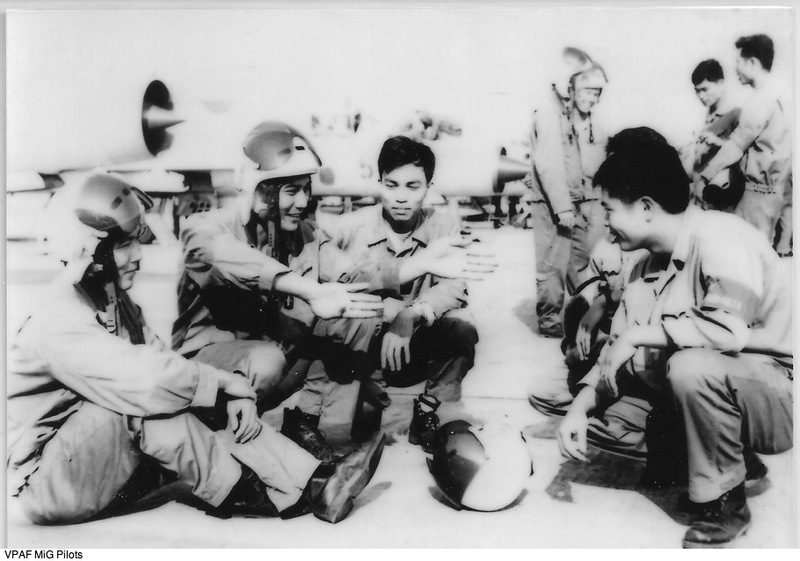 They had been shot down earlier and were POWs in the Hanoi Hilton when this photo was taken. Added an image of my old F-4B, NF-213 on my Linebacker I & II page. From its genesis in 1969, the Navy Fighter Weapons School (NFWS, aka TOPGUN) has gone through a number of evolutions, expansion, and has changed geographical venues. In its initial existence Topgun was established solely to train F-4 pilots to fight and defeat Soviet fighter aircraft over Vietnam in close-in, dog fighting combat. The school was obviously, tremendously successful. Some years later following the Vietnam experience and with the advent of the F-14 with its Phoenix missile and advanced radar weapons system, NFWS training was expanded to meet a growing Soviet Cold War threat. While the original Topgun school concentrated on pilot air combat maneuvering (ACM) and remained doing so, this later and expanded training focused more on the Radar Intercept Officer. The training concentrated on defense of the aircraft carrier battle group against Soviet cruise missiles, tactics that later would be named “Vector Logic.” This TOPGUN offshoot training was called TOPSCOPE. 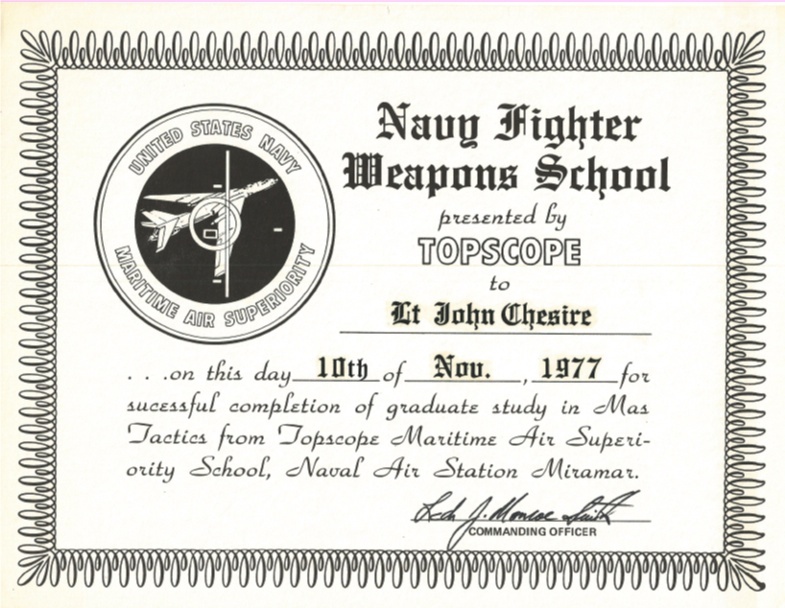 Having been an early TOPGUN graduate in 1972, I was honored to come back five years later for NFWS TOPSCOPE training. A diploma, patch, and class photo is added on my TOPGUN page. 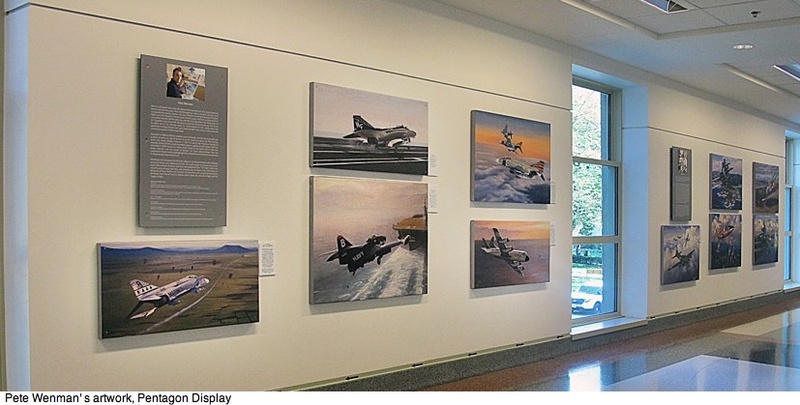 Congratulations to my friend and UK talented aviation artist, Pete Wenman, for his work now being selected for display within the US Pentagon. 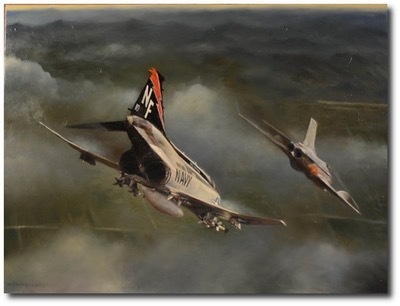 One of his five paintings is of my old squadron aircraft. Bravo Zulu, Pete! 42 years ago who among us in VF-151 aboard the USS Midway could have imagined our colorful F-4B fighter aircraft someday adorning five dollar Greeting Cards!!?? I may have to get a few. 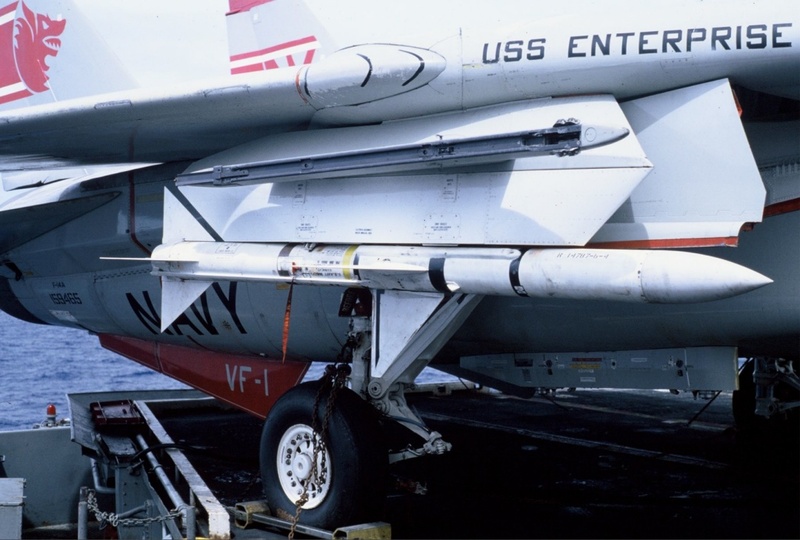 Added a photo of an AIM-9 Sparrow missile with a VF-1 F-14A on my VF-1 page. 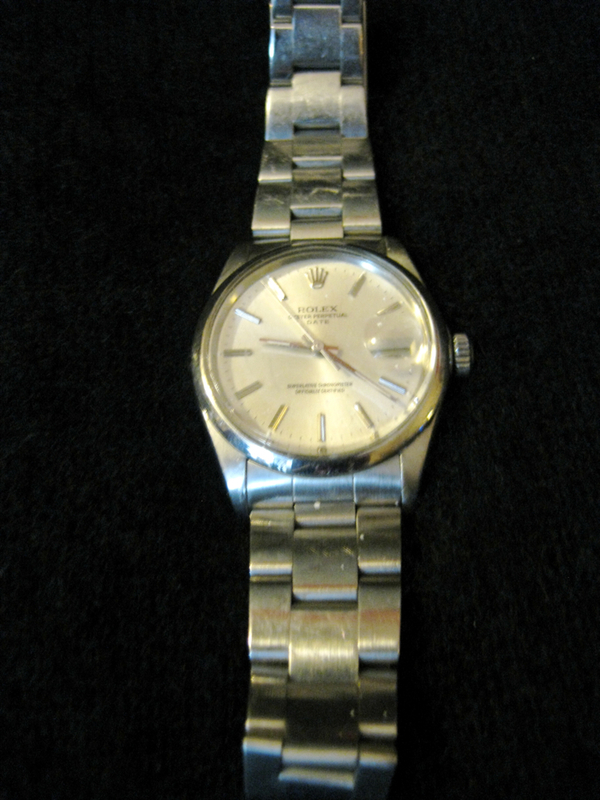 My trusty and venerable Rolex watch that I purchased in 1971 in the Subic Bay, Philippines, Navy Exchange, and the watch that graces my wrist in most all images of me on this website, is in the shop (Shreve & Co.) in San Francisco for reconditioning. My watch is special. I mention it on my Epilogue Page. It is an old friend and is a part of me. Together this watch and I have traveled the world, experienced together war and love, earthquakes and capsizing, broken bones and life threatening assaults, supersonic flight and many scares. But we remain together. We two have witnessed the magic and beauty of life. Indeed, we have lived life to the extreme and continue to live on, together. The estimated four to six weeks to recondition will be difficult. I feel naked. All through the day, every day now, I feel the loss on my wrist. Someone had commented on my lack of updates here in awhile. They worried that maybe my cancer had caught up with me. Thankfully that is not the case. I am quite healthy at the moment. I just have been lazy and otherwise occupied. So I have added a few more things here in the past few days to update this site. P.S. 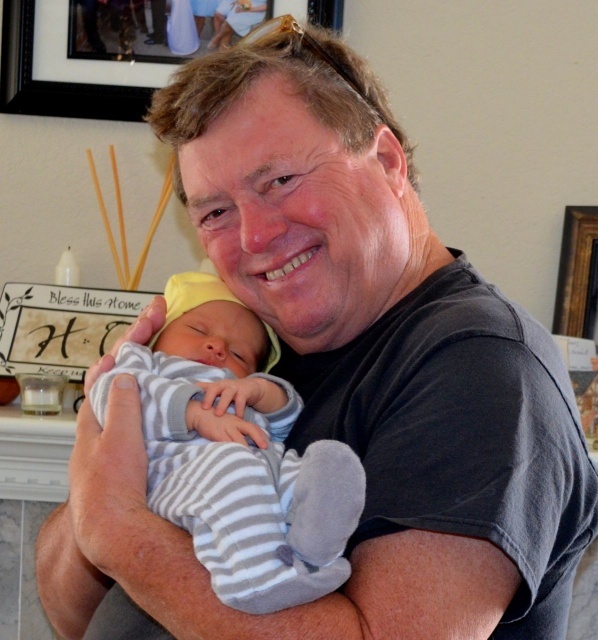 The wife and I are also the grandparents of our newly born, 2nd grandson. 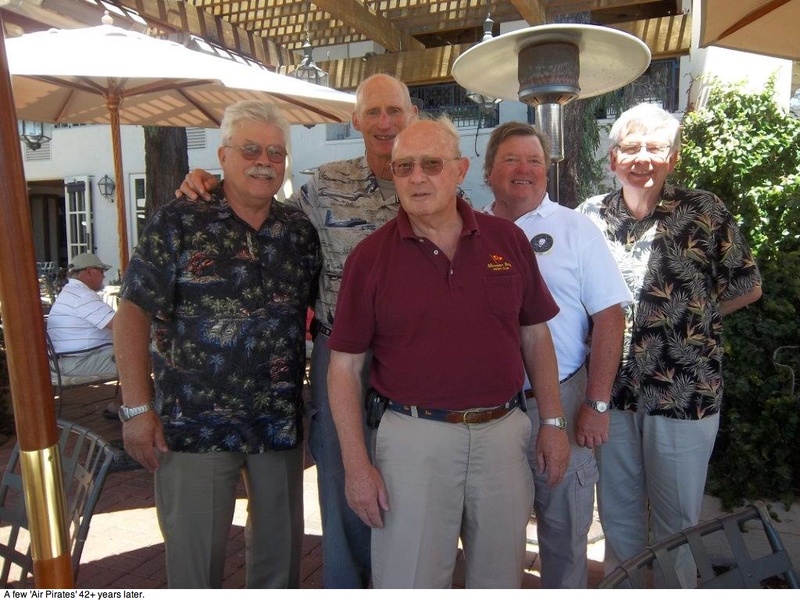 We recently had a mini VF-151 reunion at the Ranch Bernardo Inn in July. Pictured are two stellar RIOs, one stellar maintenance officer, and two stellar F-4B drivers... one who had to endure some time as a POW in the Hanoi Hilton. Great stories, mixed memories, and a special bond among "we few, we happy few, we band of brothers." I recently came across a vintage, Aviation Officer Candidate School (AOCS) article from a 1964 All Hands magazine. Although a few years before my time there, it is a good representation of what I experienced during the hot and humid Pensacola summers of 1966 and '67 in AOCS. 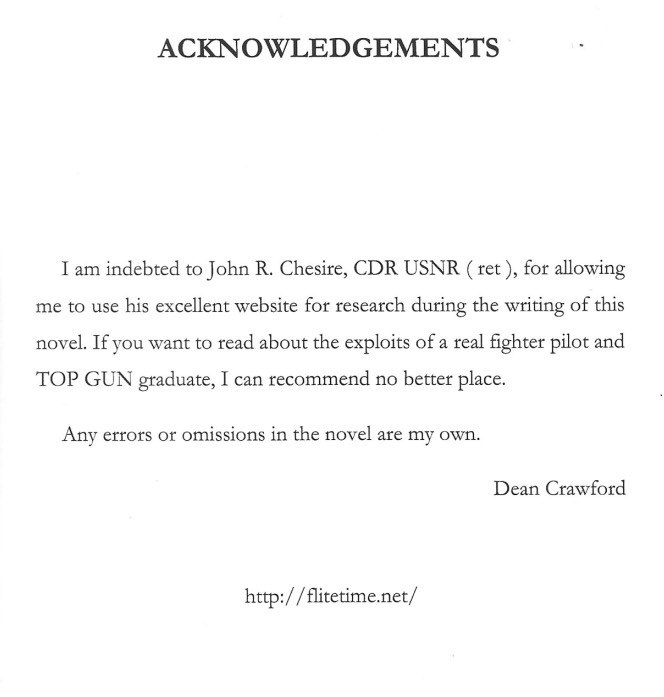 The Making of a Naval Aviator (pdf). Someone recently sent me this photo of us during a "sky spot" drop in South Vietnam behind an Air Force Pave Phantom we used for their more accurate navigational guidance. While technically not a true Sky Spot - which we also did - that is what we called all these similar missions. When the weather was bad and precluded our visual, close air support to ours and ARVN ground troops,this is what we did elsewhere. 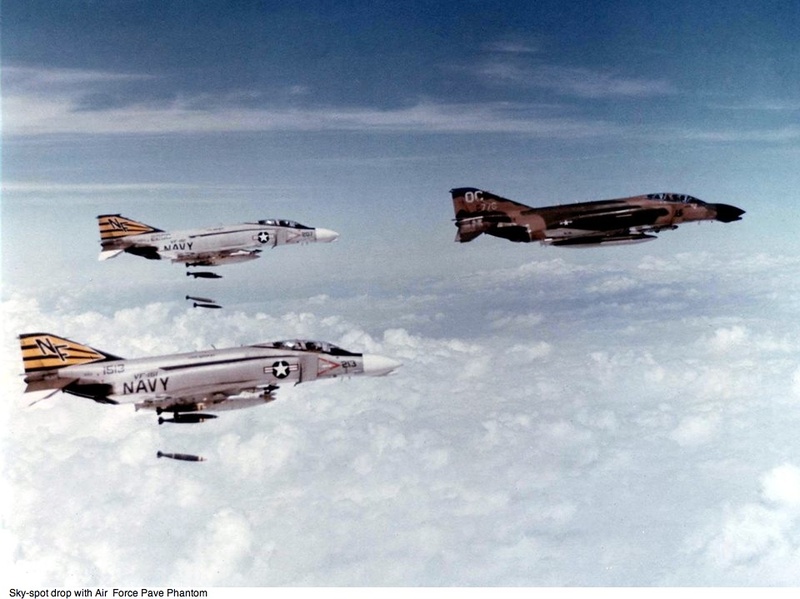 We weren't too keen on these missions, having to follow an Air Force F-4, and because we thought these drops to be too inaccurate for our liking. Added to my War, 1st Cruise page. Fear as motivation… I recently came across this old but interesting article concerning the enormous pressure of Naval flight training back in the day, especially the extremely grueling two weeks of Aviation Officer Candidate School’s indoctrination period. While extremely challenging, mentally, physically, emotionally and academically (I studied more in a few weeks than I would in a year or more in college), I thrived under the many hardships and challenges. According to the article, I must have had a greater “frustration tolerance” than most. Moreover, I did not want to be a “misfit!” Thankfully, I was not. This is why aircraft carriers have Landing Signal Officers (LSOs). A great man that I had the honor of knowing passed away this week – Jerry Coleman. Among other fine things, he was a star New York Yankee Infielder, a Marine combat fighter pilot in two wars, was the “Voice of the San Diego Padres,” and was once the team’s manager. Navy Captain (ret.) 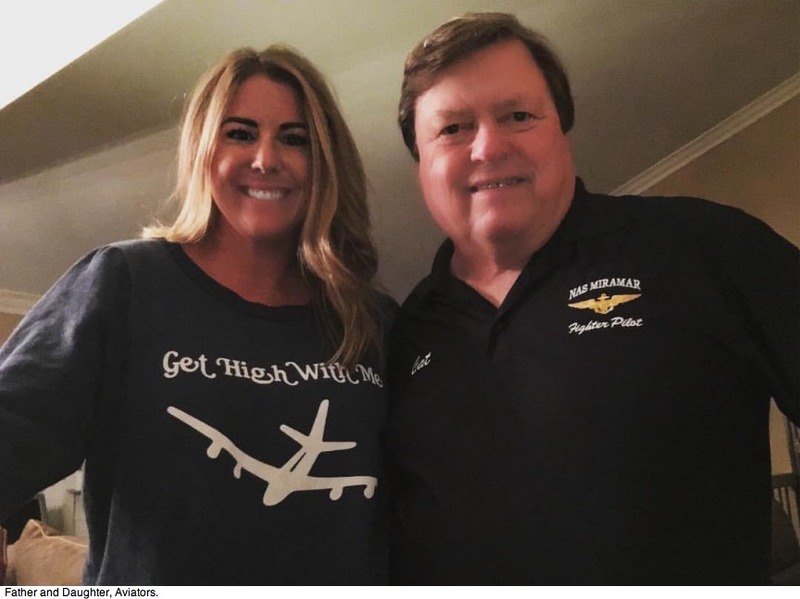 Jack Ensch tells us that LtCol. Jerry Coleman "said on many occasions that he is more proud of his service as a naval aviator (Marine pilot) than of any other thing he ever accomplished in life - including his MVP baseball career and Hall of Fame broadcasting career." I flew the San Diego Padres’ B-727 when he was the Padres' club manager. Although that season was a disappointment, I was immensely impressed with and blessed to know this extraordinary man. I admired him greatly. He was special, and he will be sorely missed.